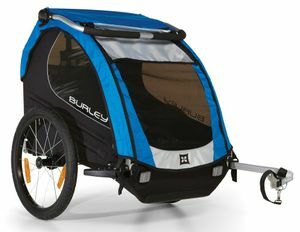 Burley child trailers were the first bicycle trailers worldwide. 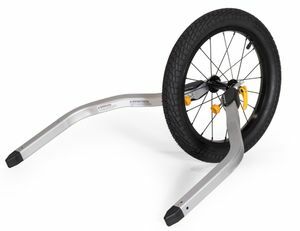 Company founder Alan Scholz invented the bicycle trailer in the USA. 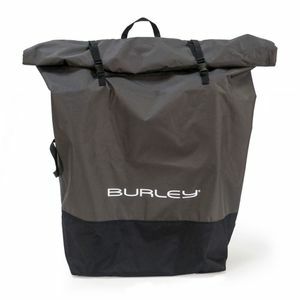 Burley looks back on more than 35 years of tradition and stands for the high quality of its products. 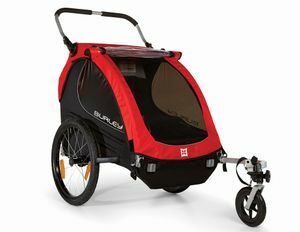 In addition to a lot of space and optimal safety, the sidecars offer your children a comfortable way to enjoy tours by bike. 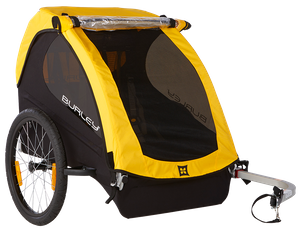 Burley has the right model for every enthusiastic cyclist - depending on the requirements. 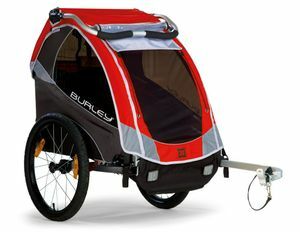 For every requirement and every type there is a suitable Burley bicycle trailer. 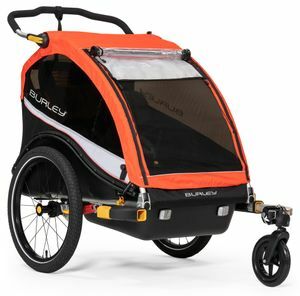 Of a total of six models, three are multi-sports trailers, which you can use as a child's trailer, buggy, jogger or with a skiset. 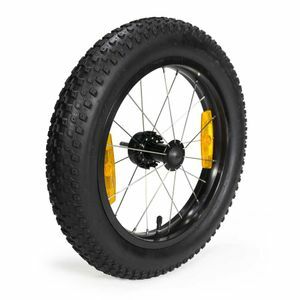 Two trailers are unsprung and can be used purely as bicycle trailers. Multi-sport trailers from Burley can be used in a variety of ways. 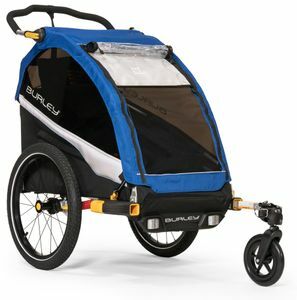 Not only as a child's trailer, but also for jogging, buggy and cross-country skiing. 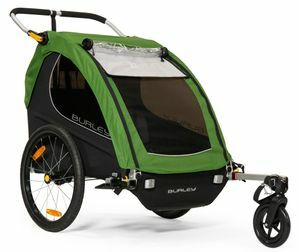 These include the two two-seater Burley Cub and Burley D' Lite and the one-seater Burley Solo. The Cub is the top model of Burley. The double-walled polyethylene floor pan makes it very robust. 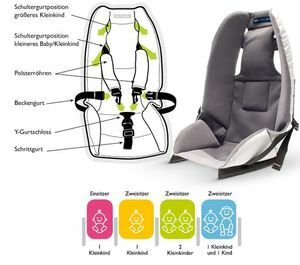 Suspension and comfortable seats offer your child a lot of comfort. The D' Lite is the lightest of the XL two-seater models. It differs from the Cub by its textile base and weight. 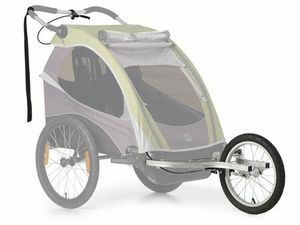 The Solo is the most comfortable single-seater of the brand and is ideal if you have a child and want a suspended bicycle trailer. 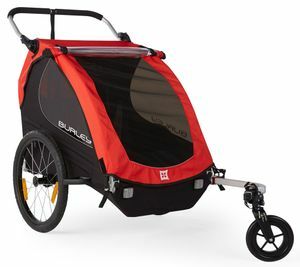 Bicycle trailers without suspension are sufficient for short trips to shopping or kindergarten. On the asphalted road your child will also sit comfortably here. 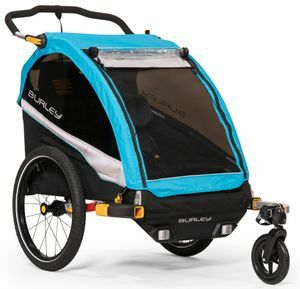 If you are looking for a low priced trailer, which you can also use as a buggy or for jogging, the Burley Encore is ideal. 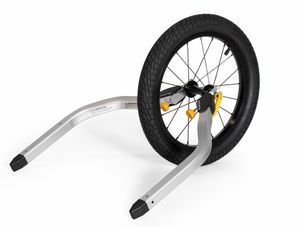 The frame is identical to that of the D' Lite. 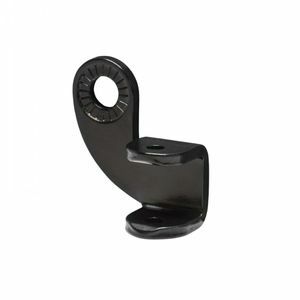 The pendant is therefore also very light. 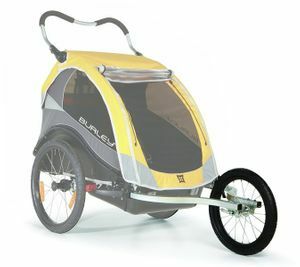 If you are looking for a pure bicycle trailer for short errands, you can also choose Burley Bee or Honey Bee. 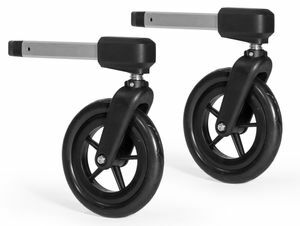 With the Honey Bee you can even buy an optional walking set, so that you can use it as a buggy. 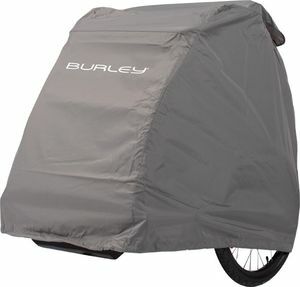 Extensive accessories for Burley children's trailers can also be found in the Bikebox online shop. 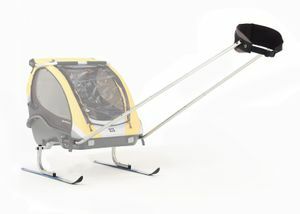 With the jogging set, buggy bike, walking or ski set, your trailer can be used multifunctional. 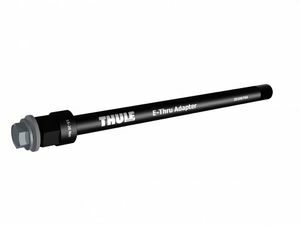 Numerous spare parts and clutches are also available. Thus you are fully equipped. 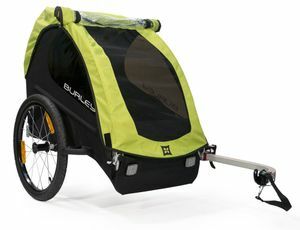 The special hanging chairs of the Burley bicycle trailers are equipped with soft seat cushions, which counteract any vibrations and thus ensure a pleasant riding experience. 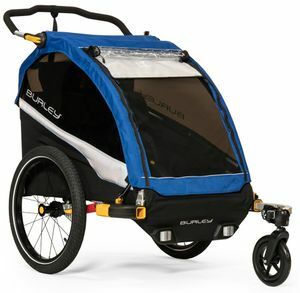 The modern lightweight chassis also relieves the parents. The large storage space is also useful for all kinds of luggage such as a drinking bottle, toys or an additional item of clothing. 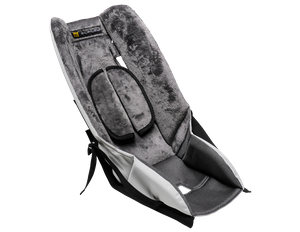 If the cushions and straps should get dirty, they can be easily removed and cleaned. 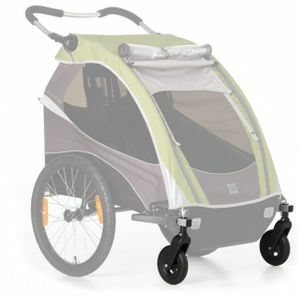 The combi-hood, the seats and the covering of the child trailers are water-repellent and resistant to the weather. 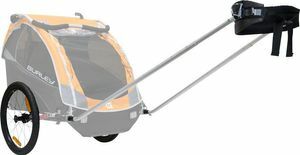 When selecting the material for the individual components of the child's trailer, care is taken to ensure that no plasticizers are used and that all valid restrictions are strictly observed. 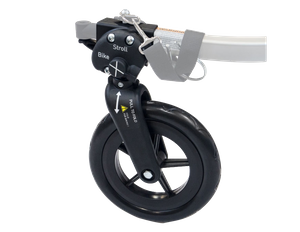 The standard equipment of bicycle trailers for children includes: Trailer coupling, safety flag, lighting and parking brakes. 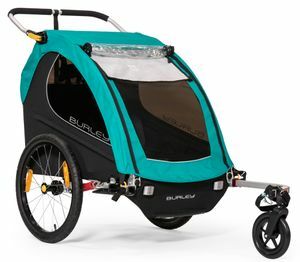 You can also convert the bicycle trailers to pushchairs, i. e. buggies or joggers, or sleds, all you need is one of the following sets: Buggy, jogging or skiing. 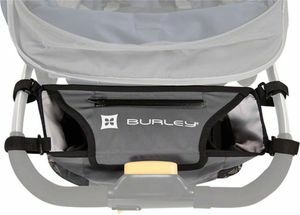 The bike box range includes the Burley Cub, Burley D? 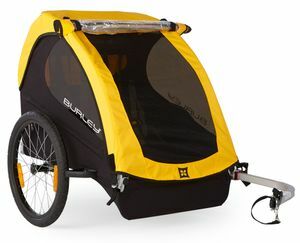 lite, Burley Solo, Burley Honey Bee and Burley Encore models. Riding a bike, enjoying the sun and watching the world - is there anything more beautiful? Yes, to experience the whole thing together with the family. So that even the youngest ones can marvel at everything, there are the children's trailers from Burley.